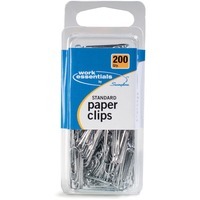 Standard paper clips get the important jobs done right. Slide them easily onto thick stacks of documents or papers that need special attention. Organize files and more.